This paper reports a comprehensive analysis of the origin of the electroluminescence (EL) peaks and of the thermal droop in UV-B AlGaN-based LEDs. By carrying out spectral measurements at several temperatures and currents, (i) we extract information on the physical origin of the various spectral bands, and (ii) we develop a novel closed-form model based on the Shockley–Read–Hall theory and on the ABC rate equation that is able to reproduce the experimental data on thermal droop caused by non-radiative recombination through deep levels. In the samples under test, the three EL bands are ascribed to the following processes: band-to-band recombination in the quantum wells (main EL peak), a parasitic intra-bandgap radiative transition in the quantum well barriers, and a second defect-related radiative process in the p-AlGaN superlattice. H. Hönigsmann, “History of phototherapy in dermatology,” Photochem. Photobiol. Sci. 12, 16–21 (2013). A. Endruweit, M. S. Johnson, and A. C. Long, “Curing of composite components by ultraviolet radiation: A review,” Polym. Compos. 27, 119–128 (2006). M. Schreiner, J. Martínez-Abaigar, J. Glaab, and M. Jansen, “UV-B induced secondary plant metabolites,” Opt. Photon. 9, 34–37 (2014). J. Glaab, C. Ploch, R. Kelz, C. Stölmacker, M. Lapeyrade, N. L. Ploch, J. Rass, T. Kolbe, S. Einfeldt, F. Mehnke, C. Kuhn, T. Wernicke, M. Weyers, and M. Kneissl, “Degradation of (InAlGa)N-based UV-B light emitting diodes stressed by current and temperature,” J. Appl. Phys. 118, 94504 (2015). K. H. Lee, H. J. Park, S. H. Kim, M. Asadirad, Y.-T. Moon, J. S. Kwak, and J.-H. Ryou, “Light-extraction efficiency control in AlGaN-based deep-ultraviolet flip-chip light-emitting diodes: A comparison to InGaN-based visible flip-chip light-emitting diodes,” Opt. Express 23, 20340 (2015). C. De Santi, M. Meneghini, M. La Grassa, B. Galler, R. Zeisel, M. Goano, S. Dominici, M. Mandurrino, F. Bertazzi, D. Robidas, G. Meneghesso, and E. Zanoni, “Role of defects in the thermal droop of InGaN-based light emitting diodes,” J. Appl. Phys. 119, 94501 (2016). N. Lobo Ploch, S. Einfeldt, M. Frentrup, J. Rass, T. Wernicke, A. Knauer, V. Kueller, M. Weyers, and M. Kneissl, “Investigation of the temperature dependent efficiency droop in UV LEDs,” Semicond. Sci. Technol. 28, 125021 (2013). V. Adivarahan, S. Wu, A. Chitnis, R. Pachipulusu, V. Mandavilli, M. Shatalov, J. P. Zhang, M. Asif Khan, G. Tamulaitis, A. Sereika, I. Yilmaz, M. S. Shur, and R. Gaska, “AlGaN single-quantum-well light-emitting diodes with emission at 285 nm,” Appl. Phys. Lett. 81, 3666–3668 (2002). X. A. Cao, S. F. LeBoeuf, and T. E. Stecher, “Temperature-dependent electroluminescence of AlGaN-based UV LEDs,” IEEE Electron Device Lett. 27, 329–331 (2006). F. Mehnke, C. Kuhn, J. Stellmach, T. Kolbe, N. Lobo-Ploch, J. Rass, M.-A. Rothe, C. Reich, N. Ledentsov, M. Pristovsek, T. Wernicke, and M. Kneissl, “Effect of heterostructure design on carrier injection and emission characteristics of 295 nm light emitting diodes,” J. Appl. Phys. 117, 195704 (2015). J. Rass, T. Kolbe, N. Lobo-Ploch, T. Wernicke, F. Mehnke, C. Kuhn, J. Enslin, M. Guttmann, C. Reich, A. Mogilatenko, J. Glaab, C. Stoelmacker, M. Lapeyrade, S. Einfeldt, M. Weyers, and M. Kneissl, “High-power UV-B LEDs with long lifetime,” Proc. SPIE 9363, 93631K (2015). M. Lapeyrade, A. Muhin, S. Einfeldt, U. Zeimer, A. Mogilatenko, M. Weyers, and M. Kneissl, “Electrical properties and microstructure of vanadium-based contacts on ICP plasma etched n-type AlGaN:Si and GaN:Si surfaces,” Semicond. Sci. Technol. 28, 125015 (2013). 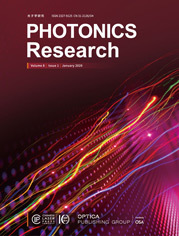 M. Asif Khan, M. Shatalov, H. P. Maruska, H. M. Wang, and E. Kuokstis, “III-Nitride UV devices,” Jpn. J. Appl. Phys. 44, 7191–7206 (2005). A. Pinos, S. Marcinkevičius, J. Yang, Y. Bilenko, M. Shatalov, R. Gaska, and M. S. Shur, “Aging of AlGaN quantum well light emitting diode studied by scanning near-field optical spectroscopy,” Appl. Phys. Lett. 95, 181914 (2009). A. Pinos, S. Marcinkevičius, J. Yang, R. Gaska, M. Shatalov, and M. S. Shur, “Optical studies of degradation of AlGaN quantum well based deep ultraviolet light emitting diodes,” J. Appl. Phys. 108, 93113 (2010). A. Pinos, S. Marcinkevičius, and M. S. Shur, “High current-induced degradation of AlGaN ultraviolet light emitting diodes,” J. Appl. Phys. 109, 103108 (2011). See, for instance, Sensor Electronic Technology Inc., “Technical Data Sheet,” . N. Grandjean, J. Massies, I. Grzegory, and S. Porowski, “GaN/AlGaN quantum wells for UV emission: Heteroepitaxy versus homoepitaxy,” Semicond. Sci. Technol. 16, 358–361 (2001). S. Chichibu, T. Sota, K. Wada, and S. Nakamura, “Exciton localization in InGaN quantum well devices,” J. Vac. Sci. Technol. B 16, 2204 (1998). S. Fan, Z. Qin, C. He, M. Hou, X. Wang, B. Shen, W. Li, W. Wang, D. Mao, P. Jin, J. Yan, and P. Dong, “Optical investigation of strong exciton localization in high Al composition AlxGa1-xN alloys,” Opt. Express 21, 24497 (2013). J. Brault, D. Rosales, B. Damilano, M. Leroux, A. Courville, M. Korytov, S. Chenot, P. Vennéguès, B. Vinter, P. De Mierry, A. Kahouli, J. Massies, T. Bretagnon, and B. Gil, “Polar and semipolar GaN/Al0.5Ga0.5N nanostructures for UV light emitters,” Semicond. Sci. Technol. 29, 84001 (2014). N. Can, S. Okur, M. Monavarian, F. Zhang, V. Avrutin, H. Morkoç, A. Teke, and Ü. Özgür, “Active region dimensionality and quantum efficiencies of InGaN LEDs from temperature dependent photoluminescence transients,” Proc. SPIE 9363, 93632U (2015). T. Li, A. M. Fischer, Q. Y. Wei, F. A. Ponce, T. Detchprohm, and C. Wetzel, “Carrier localization and nonradiative recombination in yellow emitting InGaN quantum wells,” Appl. Phys. Lett. 96, 10–13 (2010). G. Steude, B. K. Meyer, A. Göldner, A. Hoffmann, F. Bertram, J. Christen, H. Amano, and I. Akasaki, “Optical investigations of AlGaN on GaN epitaxial films,” Appl. Phys. Lett. 74, 2456–2458 (1999). N. Nepal, J. Li, M. L. Nakarmi, J. Y. Lin, and H. X. Jiang, “Exciton localization in AlGaN alloys,” Appl. Phys. Lett. 88, 62103 (2006). H. Murotani, Y. Yamada, T. Taguchi, A. Ishibashi, Y. Kawaguchi, and T. Yokogawa, “Temperature dependence of localized exciton transitions in AlGaN ternary alloy epitaxial layers,” J. Appl. Phys. 104, 053514 (2008). Y. Iwata, T. Oto, D. Gachet, R. G. Banal, M. Funato, and Y. Kawakami, “Co-existence of a few and sub micron inhomogeneities in Al-rich AlGaN/AlN quantum wells,” J. Appl. Phys. 117, 115702 (2015). H. X. Jiang and J. Y. Lin, “AlGaN and InAlGaN alloys—epitaxial growth, optical and electrical properties, and applications,” Opto-Electron. Rev. 10, 271–286 (2002). Y. Xi and E. F. Schubert, “Junction-temperature measurement in GaN ultraviolet light-emitting diodes using diode forward voltage method,” Appl. Phys. Lett. 85, 2163–2165 (2004). G. Martinez-Criado, C. R. Miskys, A. Cros, O. Ambacher, A. Cantarero, and M. Stutzmann, “Photoluminescence study of excitons in homoepitaxial GaN,” J. Appl. Phys. 90, 5627–5631 (2001). S. O. Usov, A. F. Tsatsul’nikov, V. V. Lundin, A. V. Sakharov, E. E. Zavarin, M. A. Sinitsyn, and N. N. Ledentsov, “Energy characteristics of excitons in structures based on InGaN alloys,” Semiconductors 42, 720–725 (2008). P. P. Paskov, T. Paskova, P. O. Holtz, and B. Monemar, “Polarized photoluminescence study of free and bound excitons in free-standing GaN,” Phys. Rev. B 70, 35210 (2004). X.-B. Chen, J. Huso, J. L. Morrison, and L. Bergman, “Dynamics of GaN band edge photoluminescence at near-room-temperature regime,” J. Appl. Phys. 99, 46105 (2006). D. Banerjee, S. Sankaranarayanan, D. Khachariya, M. B. Nadar, S. Ganguly, and D. Saha, “Superluminescent light emitting diodes on naturally survived InGaN/GaN lateral nanowires,” Appl. Phys. Lett. 109, 31111 (2016). I. V. Osinnykh, T. V. Malin, V. F. Plyusnin, A. S. Suranov, A. M. Gilinsky, and K. S. Zhuravlev, “Characterization of the green band in photoluminescence spectra of heavily doped AlxGa1−xN:Si with the Al content x > 0.5,” Jpn. J. Appl. Phys. 55, 05FG09 (2016). L. Zhang, K. Cheng, S. Degroote, M. Leys, M. Germain, and G. Borghs, “Strain effects in GaN epilayers grown on different substrates by metal organic vapor phase epitaxy,” J. Appl. Phys. 108, 73522 (2010). X. A. Cao, S. F. LeBoeuf, L. B. Rowland, C. H. Yan, and H. Liu, “Temperature-dependent emission intensity and energy shift in InGaN/GaN multiple-quantum-well light-emitting diodes,” Appl. Phys. Lett. 82, 3614–3616 (2003). D. O. Demchenko, I. C. Diallo, and M. A. Reshchikov, “Yellow luminescence of gallium nitride generated by carbon defect complexes,” Phys. Rev. Lett. 110, 1–5 (2013). J. S. Colton, P. Y. Yu, K. L. Teo, P. Perlin, E. R. Weber, I. Grzegory, and K. Uchida, “Selective excitation of the yellow luminescence of GaN,” Physica B 273–274, 75–79 (1999). D. Bimberg, M. Sondergeld, and E. Grobe, “Thermal dissociation of excitons bounds to neutral acceptors in high-purity GaAs,” Phys. Rev. B 4, 3451–3455 (1971). J. Piprek, “Unified model for the GaN LED efficiency droop,” Proc. SPIE 7939, 793916 (2011). S. Karpov, “ABC-model for interpretation of internal quantum efficiency and its droop in III-nitride LEDs: A review,” Opt. Quantum Electron. 47, 1293–1303 (2015). D. S. Meyaard, Q. Shan, Q. Dai, J. Cho, E. F. Schubert, M. H. Kim, and C. Sone, “On the temperature dependence of electron leakage from the active region of GaInN/GaN light-emitting diodes,” Appl. Phys. Lett. 99, 2012–2015 (2011). W. Liu, R. Butté, A. Dussaigne, N. Grandjean, B. Deveaud, and G. Jacopin, “Carrier-density-dependent recombination dynamics of excitons and electron-hole plasma in m-plane InGaN/GaN quantum wells,” Phys. Rev. B 94, 195411 (2016). Ž. Podlipskas, R. Aleksiejūnas, A. Kadys, J. Mickevičius, J. Jurkevičius, G. Tamulaitis, M. Shur, M. Shatalov, J. Yang, and R. Gaska, “Dependence of radiative and nonradiative recombination on carrier density and Al content in thick AlGaN epilayers,” J. Phys. D 49, 145110 (2016). E. Kioupakis, Q. Yan, D. Steiauf, and C. G. Van de Walle, “Temperature and carrier-density dependence of Auger and radiative recombination in nitride optoelectronic devices,” New J. Phys. 15, 125006 (2013). A. David and M. J. Grundmann, “Droop in InGaN light-emitting diodes: A differential carrier lifetime analysis,” Appl. Phys. Lett. 96, 103504 (2010). J. Hader, J. V. Moloney, and S. W. Koch, “Density-activated defect recombination as a possible explanation for the efficiency droop in GaN-based diodes,” Appl. Phys. Lett. 96, 221106 (2010). D. Schiavon, M. Binder, M. Peter, B. Galler, P. Drechsel, and F. Scholz, “Wavelength-dependent determination of the recombination rate coefficients in single-quantum-well GaInN/GaN light emitting diodes,” Phys. Status Solidi B 250, 283–290 (2013). Simulations are based on the software package SiLENSe 5.2.1, STR Group, Ltd.
A. Pinos, S. Marcinkevičius, K. Liu, M. S. Shur, J. Yang, M. Shatalov, and R. Gaska, “Carrier lifetimes in AlGaN quantum wells: Electric field and excitonic effects,” J. Phys. D 41, 155116 (2008). A. Hangleiter, Z. Jin, M. Gerhard, D. Kalincev, T. Langer, H. Bremers, U. Rossow, M. Koch, M. Bonn, and D. Turchinovich, “Efficient formation of excitons in a dense electron-hole plasma at room temperature,” Phys. Rev. B 92, 241305 (2015). S. A. Goodman, F. D. Auret, F. K. Koschnick, J. M. Spaeth, B. Beaumont, and P. Gibart, “Radiation induced defects in MOVPE grown n-GaN,” Mater. Sci. Eng. B 71, 100–103 (2000). F. D. Auret, W. E. Meyer, L. Wu, M. Hayes, M. J. Legodi, B. Beaumont, and P. Gibart, “Electrical characterisation of hole traps in n-type GaN,” Phys. Status Solidi A 201, 2271–2276 (2004). C. B. Soh, D. Z. Chi, A. Ramam, H. F. Lim, and S. J. Chua, “Study of electrically active defects in n-GaN layer,” Mater. Sci. Semicond. Process. 4, 595–600 (2001). A. Y. Polyakov, N. B. Smirnov, A. V. Govorkov, E. A. Kozhukhova, A. M. Dabiran, P. P. Chow, A. M. Wowchak, I.-H. Lee, J.-W. Ju, and S. J. Pearton, “Comparison of electrical properties and deep traps in p-AlxGa1-xN grown by molecular beam epitaxy and metal organic chemical vapor deposition,” J. Appl. Phys. 106, 73706 (2009). P. Kamyczek, E. Placzek-Popko, V. Kolkovsky, S. Grzanka, and R. Czernecki, “A deep acceptor defect responsible for the yellow luminescence in GaN and AlGaN,” J. Appl. Phys. 111, 113105 (2012). Z. Zhang, C. A. Hurni, A. R. Arehart, J. Yang, R. C. Myers, J. S. Speck, and S. A. Ringel, “Deep traps in nonpolar m-plane GaN grown by ammonia-based molecular beam epitaxy,” Appl. Phys. Lett. 100, 1–5 (2012). M. Shatalov, A. Chitnis, V. Mandavilli, R. Pachipulusu, J. P. Zhang, V. Adivarahan, S. Wu, G. Simin, M. Asif Khan, G. Tamulaitis, A. Sereika, I. Yilmaz, M. S. Shur, and R. Gaska, “Time-resolved electroluminescence of AlGaN-based light-emitting diodes with emission at 285 nm,” Appl. Phys. Lett. 82, 167–169 (2003). J. Zhang, S. Wu, S. Rai, V. Mandavilli, V. Adivarahan, A. Chitnis, M. Shatalov, and M. Asif Khan, “AlGaN multiple-quantum-well-based, deep ultraviolet light-emitting diodes with significantly reduced long-wave emission,” Appl. Phys. Lett. 83, 3456–3458 (2003). Fig. 1. Spectral distribution of the EL at various temperatures and a current of 1 mA. The four main emission peaks are labeled in the figure. Fig. 2. Intensity of the QW emission for different temperatures and currents. Fig. 3. Arrhenius plot of the intensity of the QW emission and fit according to Eq. (1). Fig. 4. Temperature dependence of the peak wavelength of the QW emission. Inset: bandgap narrowing with increasing temperature in accordance with Varshni’s law. Fig. 5. Intensity of the QW emission for different temperatures and currents fitted by Eqs. (3), (7), and (9). Fig. 6. Numerical simulation of the band diagram and of electron and hole concentration at 140 and 300 K at a current of 10 mA. Fig. 7. Arrhenius plot of the peak 3 intensity for different currents fitted by the complete SRH model [Eqs. (3), (7), and (9)]. Fig. 8. Arrhenius plot of the peak 4 intensity for different currents fitted by the complete SRH model [Eq. (7)]. Fig. 9. Intensity of the QW emission at different temperatures fitted by the complete SRH model [Eq. (7)] and the approximated model [Eq. (A3)], respectively.